I personally think that a plus size woman looks the most elegant when she is in an outfit that she can breathe, eat, walk and dance in. There is a feeling of unscripted freedom, poise and grace radiating from her whenever you can see she is confident and comfortable in what she’s wearing. Today’s #OOTD is all about looking sophisticated in just one easy step --- wearing a dress. The ensemble is made up of Erzullie’s Pre-Holiday 2014 dress. We just cinched it up with a belt and grounded it with some black heels and for fun, a pop of colored clutch. 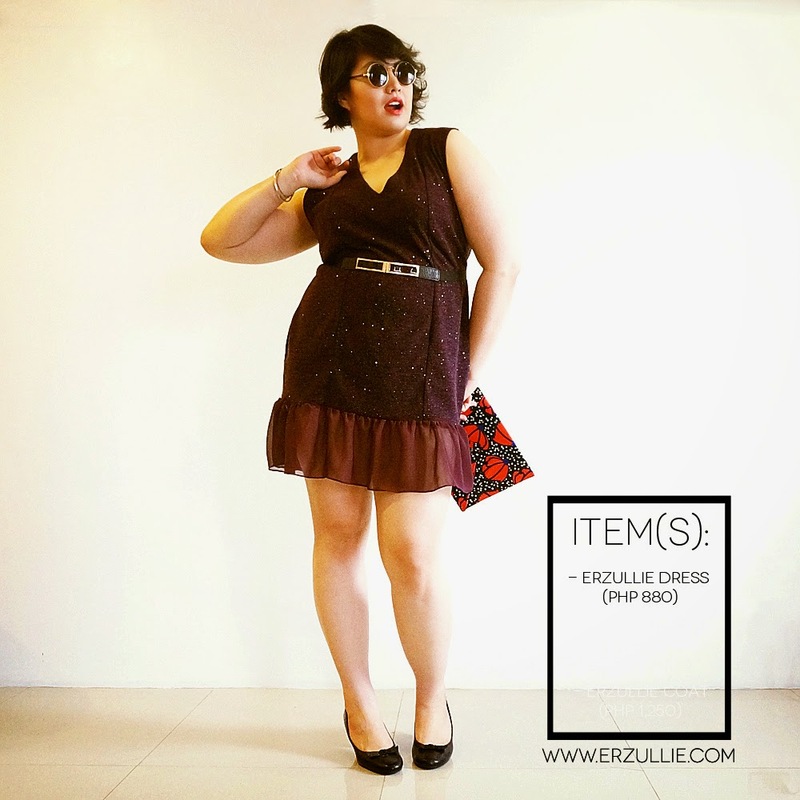 PLUS SIZE EVENT: ERZULLIE FIRST LOOK | HOLIDAY 2014 TODAY! The weather maybe a little gray but get ready to fierce it up at the Erzullie First Look: Holiday 2014 event happening TODAY, September 20, 2014, Saturday, 12NN-6PM at the Erzullie Showroom, Villa Sole, Manggahan, Pasig City! We are so excited to see all of the Erzulliestas that RSVP’d today. You ladies will be treated with some fabulous shopping, serious socializing and of course, amazing prizes!